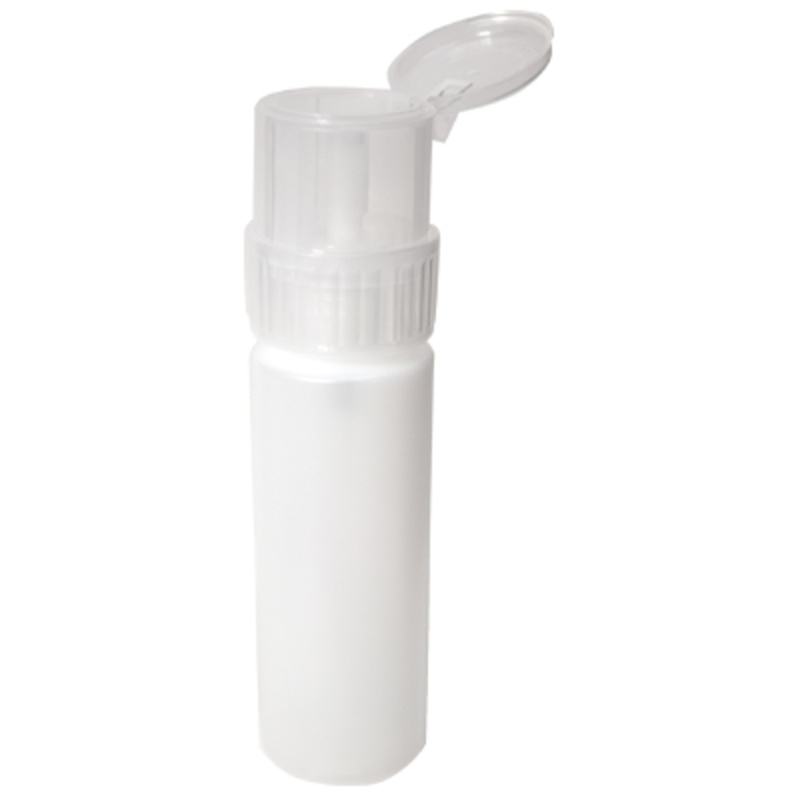 Lockable Pump Dispenser Bottle / 4 oz. - 110 mL. 4 oz. pump dispenser bottle with a plastic, lockable flip-top cap. 6-3/8"H x 6-3/8" Diameter.